Charming young ethnic model posing on cozy bed wrapped in warm blanket and looking away unwilling to leave for work. 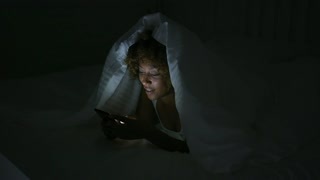 Charming young model relaxing in cozy bed covered with blanket and chatting in Internet using smarpthone in dark. Headshot of cheerful charming young ethnic model with curly hair looking at camera and posing in studio.